William "Bill" Ventres, M.D. 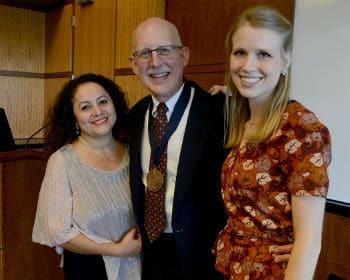 (second from left) with his wife, Estella, and daughter Cory, as well as (from left) College of Medicine Dean Christopher Westfall, M.D., Erick Messias, M.D. and Daniel Knight, M.D. 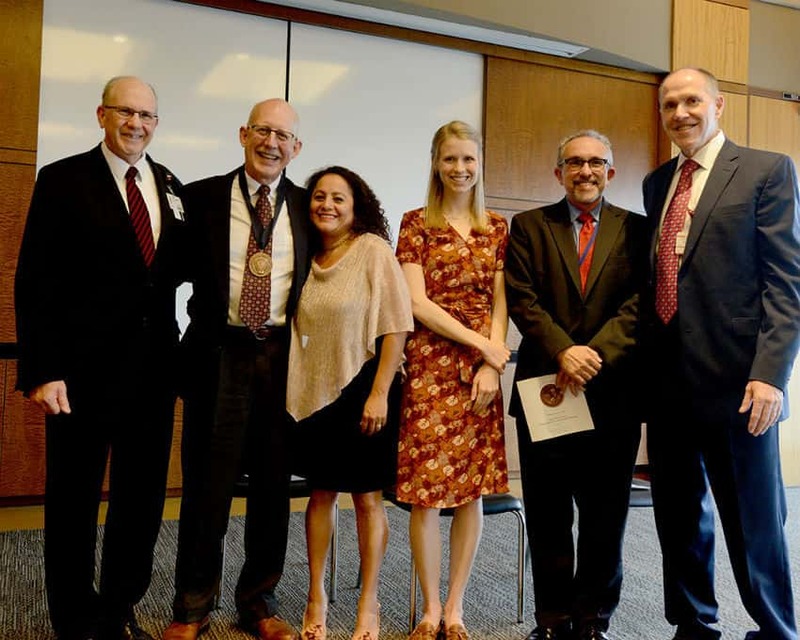 Sept. 19, 2018 | Sept. 19, 2018 | William “Bill” Ventres, M.D., M.A., assistant professor in the Department of Family and Preventive Medicine in the College of Medicine at the University of Arkansas for Medical Sciences (UAMS), was invested Sept. 17 as the holder of the Ben Saltzman, M.D., Distinguished Chair in Rural Family Medicine. 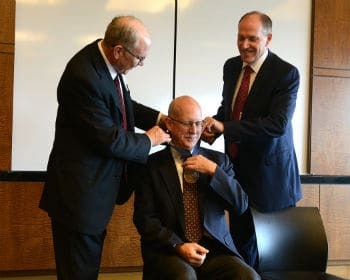 Westfall and Knight presented Ventres with a commemorative medallion.